This easy Blueberry Cobbler recipe is made from scratch, comes together quickly, and is a perfect dessert for showcasing fresh blueberries! The filling bakes up thick and bubbly with a golden biscuit topping just begging for a scoop of vanilla ice cream. Summer provides such wonderful opportunity to eat the freshest fruit around, specifically berries. There’s nothing quite like hitting the grocery store or farmer’s market and finding the reddest strawberries and plumpest blueberries; such a wonderful sight! Baking with fresh, in-season fruit is one of my very favorite things about summer. 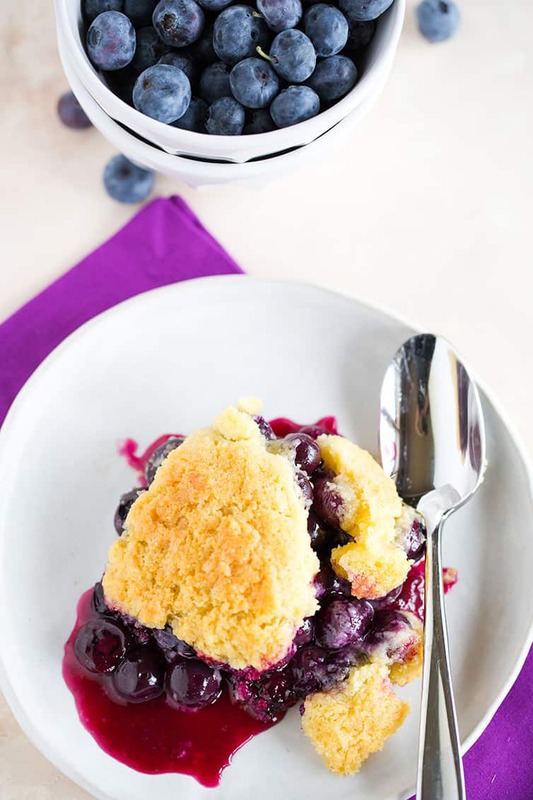 If you are craving a serious blueberry dessert where the blueberries take center stage and really shine, you can’t get much more all-star status than a cobbler. Just blueberries, in all of their plump, deep purple glory, with a simple biscuit-y topping. 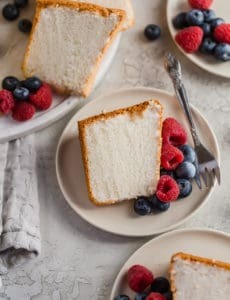 This is one absolutely phenomenal dessert that’s easy to make and a fabulous celebration of summer and the wonderful fresh fruit that it provides. 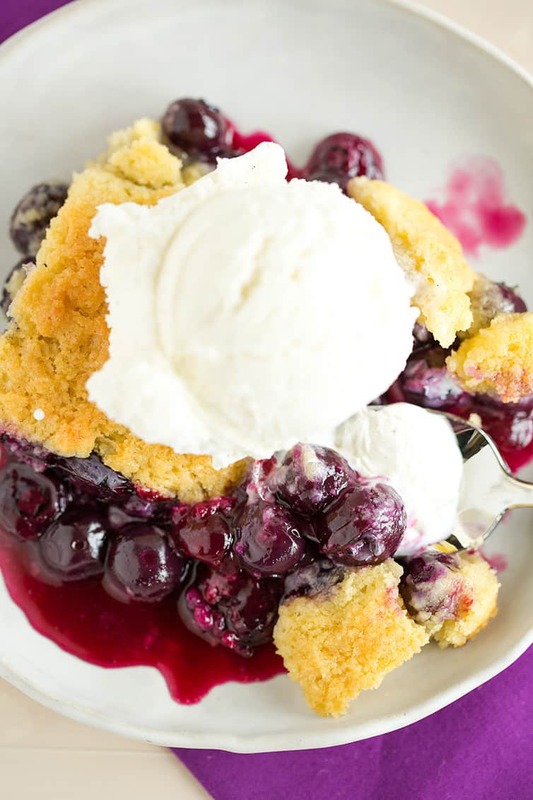 There are approximately 100 different ways to make a blueberry cobbler, with recipes for everything from pie filling and canned biscuits to Bisquick, pie crust, cake mix, and of course there is just good ol’ old-fashioned blueberry cobbler. That’s what we’re making today – it’s incredibly quick to assemble and completely homemade. Let’s discuss! The Filling – We only need a few simple ingredients to create a thick, bubbling filling. Lots of fresh blueberries (of course!) are mixed with sugar (to sweeten), cornstarch (to thicken), a little cinnamon and salt (for balance) and lemon juice (to brighten the flavor). It all gets stirred together in a bowl, which takes only a few minutes. The Topping – This topping is reminiscent of a scone; a little more tender than a biscuit, but with all of the amazing flavor! 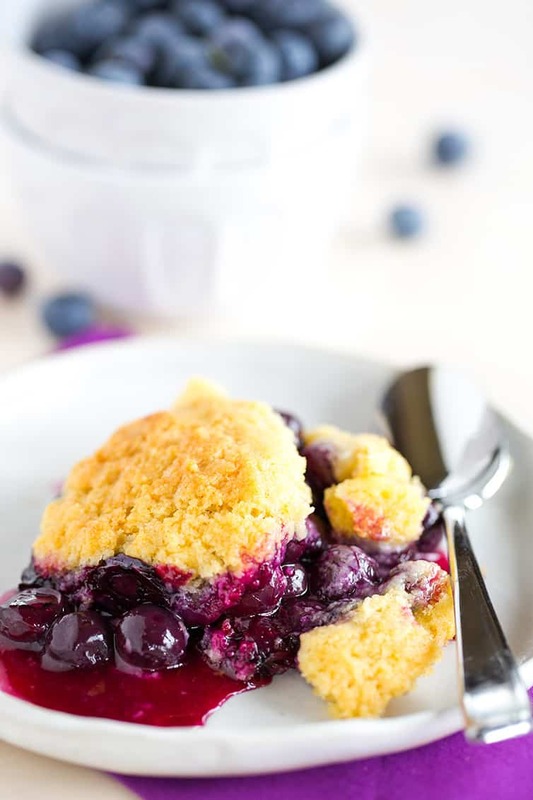 I’ve made this cobbler recipe in the past with more of a crunchy biscuit topping, and as much as as I love biscuits, I just didn’t love trying to jam my spoon through that crusty exterior, more often that not shooting blueberry cobbler filling across the bowl and splashing myself with that purple juice. To remedy this, I made just a couple of small changes to the ingredients to create more of a scone texture (still firm and wonderfully golden brown) to eliminate that too-hard exterior that comes with a crunchy biscuit topping. I LOVE this version! Yes, absolutely! 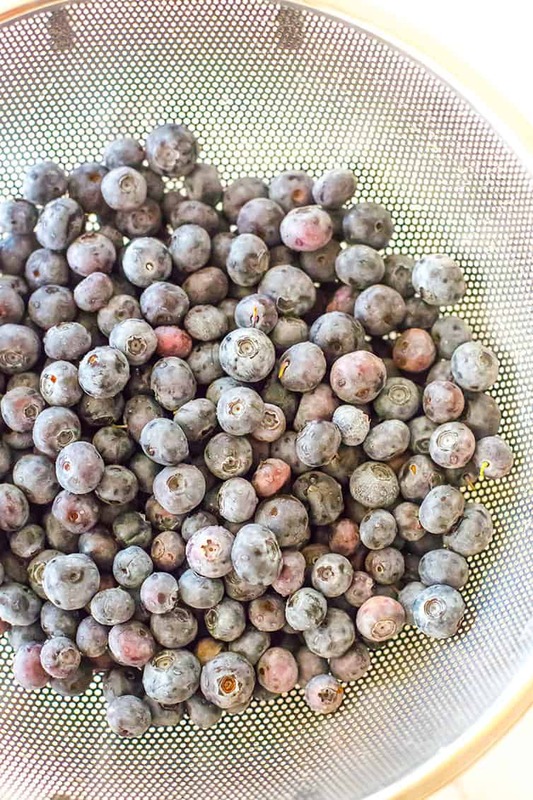 Substitute frozen blueberries for the fresh in a 1:1 ratio; no need to thaw before baking. Simply mix with the other ingredients and proceed with the rest of the recipe. Quick Tip! If you have an abundance of fresh blueberries, you can easily freeze them by placing them in a single layer on a rimmed baking sheet. 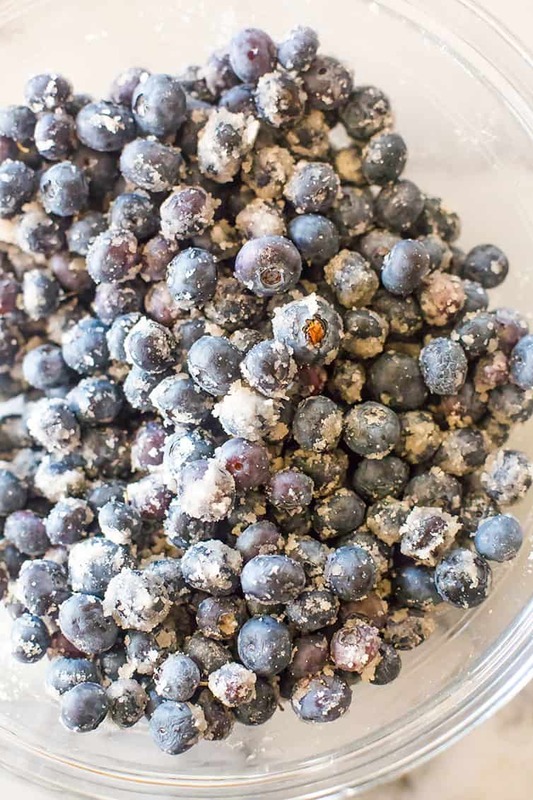 Place the baking sheet in the freezer until the blueberries are completely frozen, then transfer to a ziploc freezer bag and store in the freezer for up to 6 months. Nope! 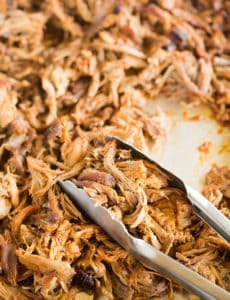 Just cover it with foil or plastic wrap and you can keep at room temperature for up to 3 days. Can You Freeze Blueberry Cobbler? 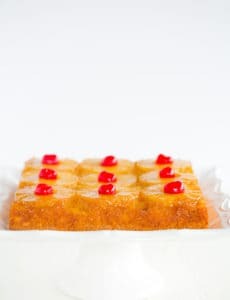 You can bake the entire cobbler, allow to cool, then cover tightly in plastic wrap and foil and freeze for up to 1 month. Reheat in a 350-degree oven. This method is admittedly the easiest, but the topping can become a little soggy when frozen and reheated, so just be aware. Mix together the filling, place in your baking dish, cover and freeze for up to 3 months. When ready to bake, bake the filling first for 35 to 40 minutes, stirring occasionally, until hot and bubbling. Then mix together your topping, add it, and return to the oven for another 20 to 25 minutes. This method will get you the closest to totally freshly assembled and baked cobbler. It is not recommended that you freeze an entire assembled cobbler, as the topping will be compromised. I love how insanely easy this dessert is to make. You only need a total of 3 bowls to prepare this, plus a whisk, a spoon and a fork. Easy as pie… except, easier. 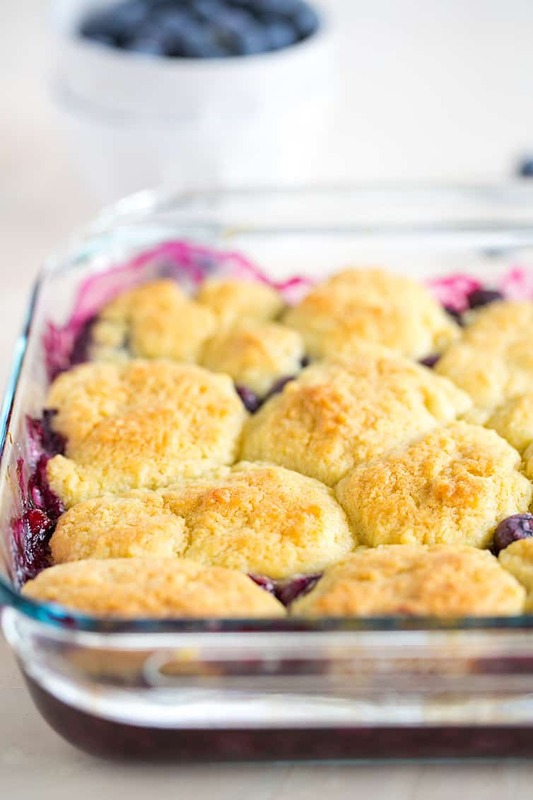 The resulting dessert is an amazing combination of cooked-down blueberries in a thick, warm sauce topped with dollops of biscuit-slash-scone dough sprinkled with sugar. The blueberry filling is very slightly sweetened and spiked with a little bit of lemon juice. The flavors all dance together superbly. All you need is a big scoop of vanilla ice cream and you’re ready to dig in. I find that cobbler is one of those recipes where EVERYONE has a family recipe that has been passed down through the years… do you have one? Feel free to share it in the comments below! This easy Blueberry Cobbler recipe is made from scratch, comes together quickly, and is a perfect dessert for showcasing fresh blueberries! Making the Filling: Whisk the sugar, cornstarch, cinnamon and salt together in a large bowl. Add the blueberries and mix gently until evenly coated; add lemon juice and mix to combine. Transfer the berry mixture to an 8-inch square baking dish (can also use a 9-inch deep-dish pie plate or 10-inch cast iron skillet). Make the Topping: Whisk the flour, sugar, baking powder and salt together in a large bowl. Whisk the heavy cream, melted butter and vanilla together in a small bowl. Add the wet ingredients to the dry and stir until just combined and no dry pockets remain. Assemble and Bake: Scoop the dough into 8 equal pieces and place on the filling, evenly spaced (they should not be touching). 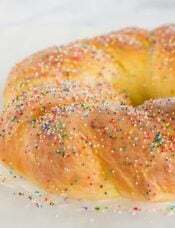 Sprinkle each mound of dough evenly with the sugar. Bake until the filling is bubbling and the top is golden brown and cooked through, 35 to 45 minutes, rotating the pan halfway through baking. Transfer the pan to a wire rack and let cool for at least 20 minutes; serve warm or at room temperature. 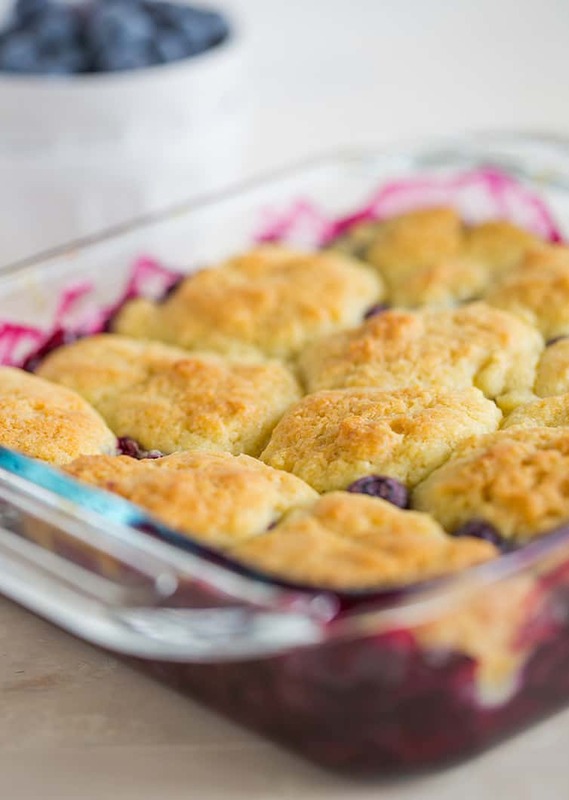 The blueberry cobbler can be stored, covered, at room temperature for up to 3 days. This recipe was originally published on July 25, 2012. I had been looking for a classic blueberry cobbler recipe and had such a tough time finding one that didn’t have any unnecessary or weird ingredients. Finally, I stumbled upon your website and the rest is history. The cobbler turned out perfectly and will be my go-to recipe from here on out! Thank you!!! Hi- did you change this recipe? I have been using it for years and I could have sworn the topping called for cornmeal. Am I imagining things? 1. Making the Filling: Adjust oven rack to lower-middle position and heat oven to 375 degrees F. Line a rimmed baking sheet with aluminum foil. 2. Whisk the sugar, cornstarch, cinnamon and salt together in a large bowl. Add the blueberries and mix gently until evenly coated; add lemon zest and juice and mix to combine. Transfer the berry mixture to a 9-inch deep-dish pie plate or an 8-inch square baking dish. Place the plate on the prepared baking sheet, and bake until the filling is hot and bubbling around the edges, about 25 minutes. 3. 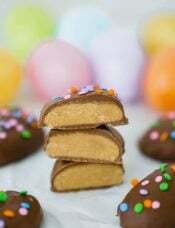 Make the Biscuit Topping: Meanwhile, whisk the flour, sugar, cornmeal, baking powder, baking soda and salt together in a large bowl. Whisk the buttermilk, melted butter and vanilla together in a small bowl. Combine the sugar and cinnamon in a small cup and set aside. 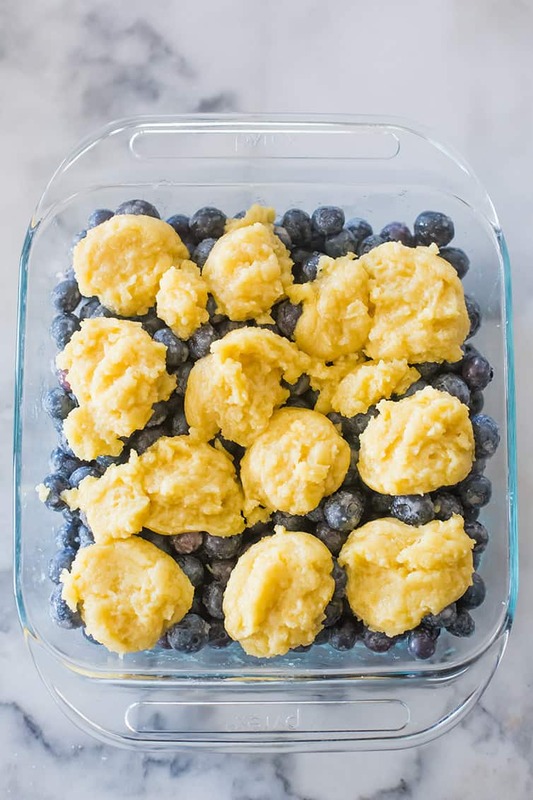 One minute before the blueberries come out of the oven, add the wet ingredients to the dry and stir until just combined and no dry pockets remain. 4. Assemble and Bake: Remove the blueberries from the oven; increase the oven temperature to 425 degrees F. Divide the dough into 8 equal pieces and place on the hot filling, spacing them at least ½-inch apart (they should not be touching). Sprinkle each mound of dough evenly with the cinnamon sugar. 5. Bake until the filling is bubbling and the biscuits are golden brown on top and cooked through, 15 to 18 minutes, rotating the pie plate halfway through baking. Transfer the pie plate to a wire rack and let cool for 20 minutes; serve warm. I made this with fresh picked Canadian blueberries and it was fabulous! Tonight, I’ll try making an apple cobbler since I have apples from our tree I need to use. I’ll use the apple recipe I use for apple pie and this topping. Ill also substitute for half and half this time since that’s what I have. This recipe is one I’ll be keeping for some time! Thank you! Found your site after googling for a new blueberry cobbler recipe. I will never search again. The scone like topping is to die for and puts this cobbler over the top. The only think I did was sprinkle the tops with cinnamon and sugar (versus just sugar). Going to try a peach version next….can’t wait. Thank you so much for this awesome cobbler. Delightful recipe and delicious! Make sure to save this one! Made this for company last evening – oh my! It was the highlight of the dinner. One guest even commented on the quality of the biscuit topping – crispy but tender. I usually leave cornstarch out of recipes because I don’t like how it thickens but left it in and the result was perfect – juice that was just slightly thickened and clung to the berries and topping. 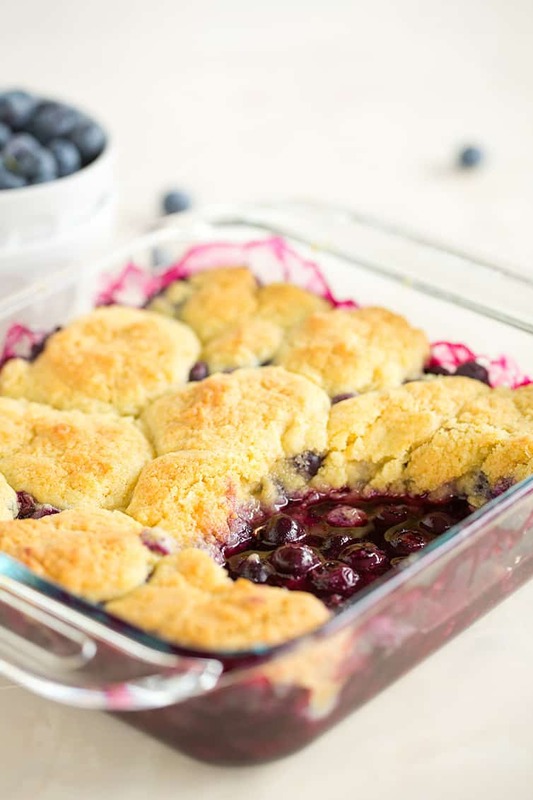 This is not only my new go to for blueberry cobbler, but I’d put the biscuit topping on any fruit cobbler I make. Also, easy and quick to throw together. I think I had it in the oven within 10 minutes of entering the kitchen. Perfect! 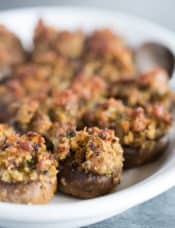 HI Linda, I’m so, so happy to hear you loved this recipe! Thank you so much for taking the time to stop back and share a review, I appreciate it so much! This is the simplest, tastiest blueberry dessert I have ever made and the topping is pure genius. I didn’t change a thing and It will be my go to Blueberry dessert from here on. This recipe outshines any blueberry pie ever made. Thanks for the recipe!! If I don’t have heavy cream could I use milk or half and half? Hi James, Yes, half and half would be preferable! OK . . . . here’s a question . . . . the first thing I thought when I saw the picture was ‘it looks like there’s cornmeal in the biscuit topping’, but cornmeal isn’t listed as an ingredient. 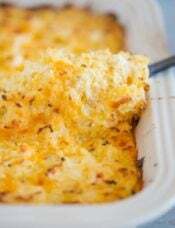 Upon reading the comments, cornmeal is mentioned being part of the recipe. Is this a change you made to the recipe? I would think that cornmeal would keep the biscuit topping soft?? It seems that the cornmeal would also lend to a sweeter biscuit topping as well, and would pair well with a blueberry cobbler. This recipe *has* been changed. You can access the original version using archive.org. 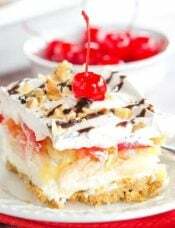 Looks so delicious and such a perfect summer dessert! This looks so good!! I am a total sucker for any dessert with blueberries!! My Grandmother and Grandaddy have a blueberry farm, so maybe it’s just in my DNA. 😉 Thanks for sharing this! I made this for a party and it was a hit! Thanks for the great recipe! this is so mouth watering. i cant wait to have this at home. your photos are just amazing.and blueberrys who could not want it? I made this yesterday, and OOOHHHHH so good!!! **I wish you would make a cookbook! I have been making this recipe since 2008. My family always loves it. We must have been thinking about the same thing since I made it this past week!! This looks amazing! I want to make this for my mother’s day BBQ tomorrow but I would like to bake individual (generous) servings in wide-mouth pint mason jars. Pint size so there is room for ice cream on top! Any ideas about cooking times? Should it be about the same? Hi Jennifer, I am honestly not sure about a baking time as I haven’t made this into individual servings. 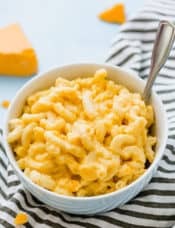 If your jars are deeper than a baking dish would be, you would need more cooking time (although watch so that the topping doesn’t get too burnt). If the depth is about the same, cooking time would be about the same.